Today, we are happy to announce the general availability of SAP S/4HANA Cloud 1708. The new release contains numerous key innovations in areas such as like finance, procurement, manufacturing, professional services or sourcing and procurement. SAP has invested significantly in the overall user experience. There are now additional SAP Fiori 2.0 overview pages in the following areas: sales management, project profitability, inventory management and treasury management. This dashboard of information creates insights at a glance. With various filter functions, you can easily navigate to the information you need, helping you to perform your daily work with ease. Another highlight of the release is in treasury and risk management, which helps to automate labor-intensive processes. Treasury managers get all the necessary information about their exposure to fluctuations using the newly launched overview page. Furthermore, it is possible to see what hedging’s are already in place to reduce the risk, to give information about the expected net exposure at any time. We also now offer integration to SAP Analytics Cloud for planning. 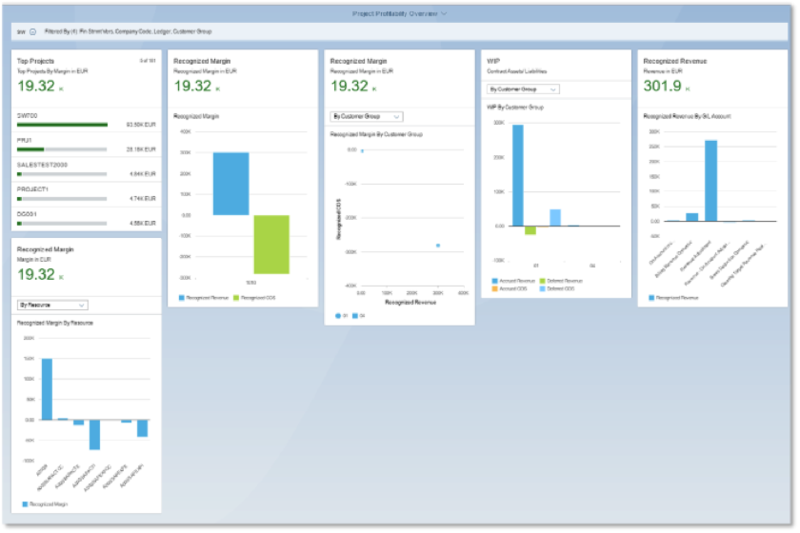 This integration allows you to extract transactional data from the SAP S/4HANA Cloud system into SAP Analytics Cloud where the actual planning can be done. After the planning, the information can be uploaded back into the SAP S/4HANA Cloud system. With the demand-driven buffer level management you can now plan and manage supply chains more efficiently. Providing decoupling points with strategic stock positions, manufacturers can now avoid the so-called “Bull-Whip-Effect”, where the variation demand increases up the supply chain from customer to supplier. With the enablement of advanced variant configuration, we enable efficient modelling of your configurable product model with a configurable BOM. Using this, we can help improve our customer’s product engineering, sales, and manufacturing performance with SAP software for integrated variant configuration and classification. Besides the new overview page for project profitability, there are also three new innovations in resource management. Resource managers can now staff their suitable resources for a request directly from the overview page. 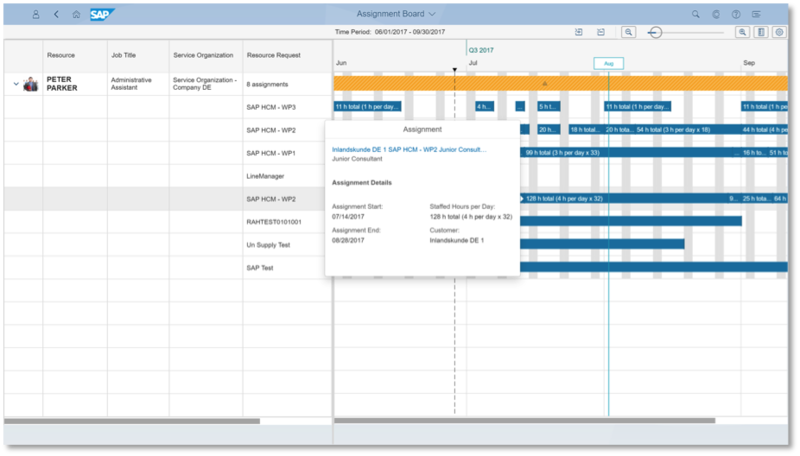 The new graphical assignment board helps to build transparency on resource assignment, and additionally, a simulation of key figures will show how assignments would affect, for example, the utilization rate. In the arena of time and expense management we are now introducing a new role: the line manager. The line manager is able to work across its team. The new “Team Utilization” analyzes the utilization rate of the manager’s team and provides the insight to keep your team fully utilized. With SAP S/4HANA for legal content, there is now a central repository for all legal documentations. In procurement, you can now create templates for contracts, NDAs or other legal documents. With this you can stay legally compliant and protect your company from any legal obligations. Another highlight is the integration with OpenText, which allows simplified supplier invoice processing. All you need to have is a digital format for your invoice which is uploaded in the system. With the OpenText integration, the invoice is sent to OpenText OCR (Optical Character Recognition) which automatically prefills the required fields before it’s sent back to the SAP S/4HANA Cloud system. This saves time and makes procurement processes much more efficient. 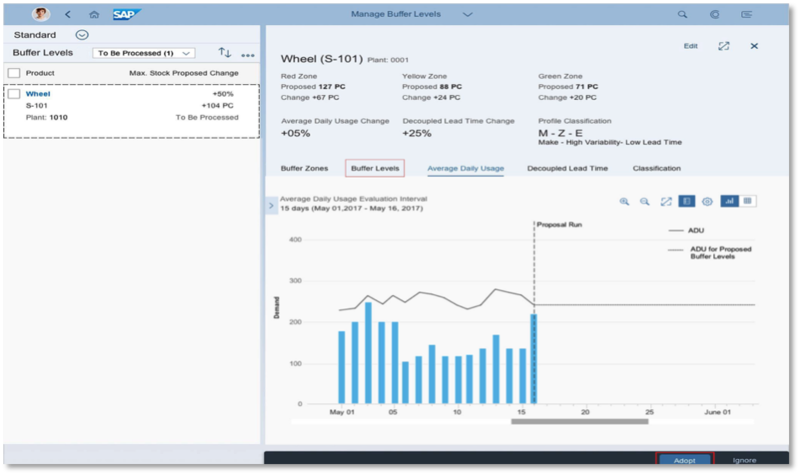 The new SAP S/4HANA 1708 release provides many new functions, apps and innovations. Stay tuned for more highlights over the next couple of days.